It is unusual for us at Ballymena Today to be writing about ourselves. 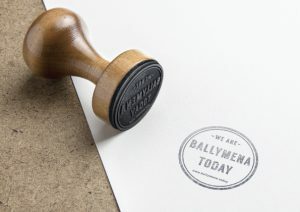 We are usually writing about other Ballymena businesses and organisations or reporting various Ballymena news stories and events. But you will have seen in some recent posts that we were giving the website a major refresh which allowed us some time for a look back … and a look forward! Looking back at what we have achieved over the last several years and also looking forward to the future of Ballymena Today. It is good for all of us who are business owners, organisation managers and key stakeholders to pause from time to time and re-evaluate where we are going. It’s so easy to get caught up in the busyness and lose sight of the goal. 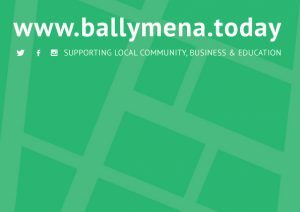 Looking back – It all began with The Directory Page in 2011 and as we grew that became Ballymena Today in 2014. Here’s a link to what we were saying back when Ballymena Today began. The same message of sharing and working together still stands today. We’ve had a trawl through our many publicity cards, billboards and so on which we produced over the years. We are passionate about our town and borough. We are dedicated to building a strong community that supports and contributes in a meaningful and effective way. We continue to ‘share the conversation’ of what’s going on in our town. 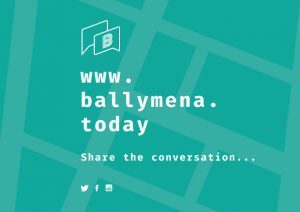 Looking forward – we’re excited for the future of Ballymena Today. We have just given the website a fresh new look. A modern online magazine feel to it which contains more articles than before and therefore these are now easier to access. Our sponsors have also been given more prominence on the new site. We love it and hope you do too. Our social media platforms are steadily gaining new followers. We would like to take the opportunity to thank everyone who engages with us by liking, sharing and commenting. This really helps us to get our message to more people. 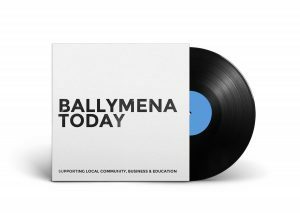 Do you own a Ballymena business or manage an organisation or charity and would like us to help you to promote your event or news story online? If so, please get in touch in the first instance by email to ally@ballymena.today. For those using social media, please keep involved with us, we appreciate your support as we continue to do what we can to build community and share the conversation in Ballymena.